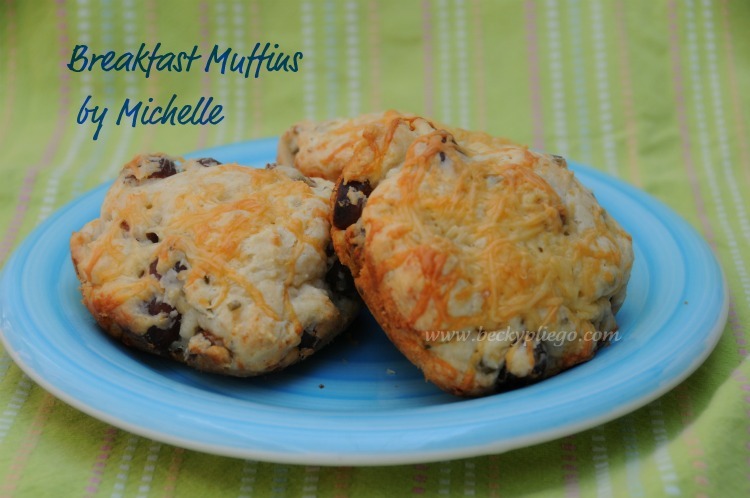 Michelle who blogs at Losing Michelle sent me this wonderful recipe for breakfast muffins to share with you; and as soon as I received it, I looked for the first opportunity to bake them for my family. The result: Big smiles and crumbs all over the table. Brown your sausage and drain. Mix with shredded cheese and Bisquick. Add butter, milk, and soup and stir. Spoon into a greased muffin tin and bake approx. 20 minutes. Makes 24! I usually bag up 12 for the week and throw twelve in the freezer to pull out on Sunday for church! Makes preparing for worship much easier! For each 1 cup biscuit mix (like Bisquick) called for in a recipe, use 1 cup all-purpose flour, 1 1/2 teaspoons baking powder, 1/2 teaspoon salt and 1 tablespoon vegetable shortening. Don't forget to *Like* our Facebook page, Doctrines in the Kitchen, where we like to share good links, recipes, quotes, and encouragement for our daily journey.